Another of the problems faced by Nigerians on their mobile devices, apart from getting unsolicited messages and automatic renewal of data subscriptions, is choosing the best and most cost-effective among the horde of telecommunication industries in the country. In Nigeria, there are four major terrestrial networks – MTN, Airtel, Etisalat, and Glo, while other ones are best known for data and internet services. With each of the four major networks, there are many tariff plans to choose from, some best-suited for calls and voice, others suited for text, and the rest suited for data. Additionally, there are different tariffs specifically meant to suit those who would like to make international calls. 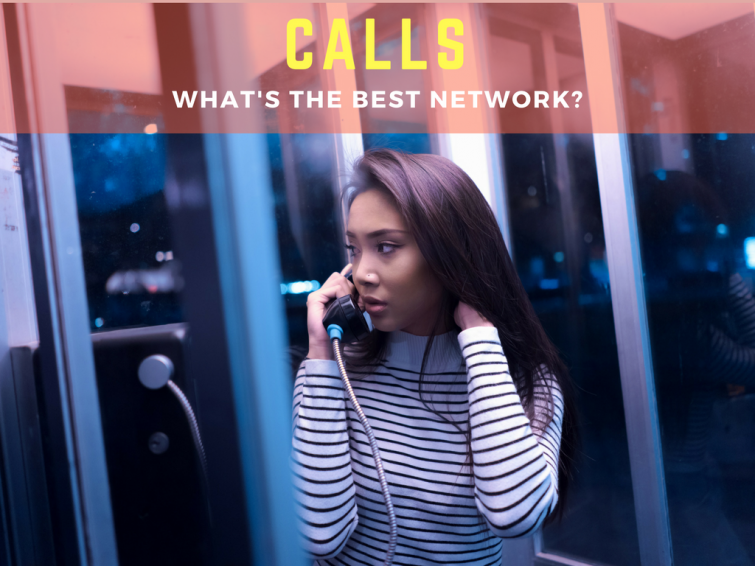 For people who make a lot of calls, choosing the best network to use for calls which wouldn’t drill a hole in their pockets could be too arduous considering the number of tariff plans available to choose from. Some networks offer good connectivity and quality voice call transmission, while others offer super fast internet connections. We have previously made an analysis of the different data subscription plans on all networks, and in this article we will compare all with different call tariff plans on all networks, both local and international, to provide you a guide in choosing the best. There are different types of prepaid plans on etisalat and you can easily check them by dialing *200#. Upon dialing the code, you’ll be presented with different call tariff plans, but if you want to know more about each, keep reading this. We detail the PROs of each plan, likewise the demerits so you can choose the one that will suit your taste. Etisalat’s easy starter helps keeps families and friends connected across Nigeria. It’s unique family and friends feature (you&me) helps you stay in touch with all your loved ones. If you run out of airtime, you can still make calls with our receiver’s pays service, as well as great value rates. Easy starter has no hidden charges or subscription fees. YOU&ME Feature: You&Me gives you N300 free for a week to call five etisalat numbers that are registered on You&Me plan when you recharge N200. You also get N100 if you recharge N100 for a week. FREE WEEKLY DATA: Get 10MB every week to browse upon recharge of N100. RECEIVER PAYS: This service allows you to make calls when you don’t have airtime while your receivers pays for the calls.You can do this by adding 268 before the number you wish to call in the dialpad. NOTE: To subscribe to easy starter dial 200 and press 1 on a new etisalat sim. To switch from an existing line, dial *244*2#. PRICING & TARIFF ON EASY STARTER. Easy starter default tariff drops by half, from 40k/sec to 20k/sec to all networks if you use up to N 25 a day. You&Me gives you N300 a week to call five special numbers when you recharge NYou also get N100 if you recharge N100 a week. Free browsing: 10MB free every week with a minimum recharge of N100. Easycliq offers 15MB free data, free midnight calls, free downloads and bonus airtime for receiving calls. 15MB of free browsing weekly. Recharge N200 weekly between Monday-Sunday and enjoy 15MB free valid for 7 Days. 10 free MMS weekly. Recharge N200 weekly and enjoy 10MMS free to send to etisalat numbers only. BONUS on incoming calls, for every five minutes call received from other networks, you get one minute worth of free call to use in the cliq community. 150% bonus on every recharge, this offer is available to all new easycliq subscribers and it can be use to call all networks. Unlimited SMS, for every billed SMS, you will be granted a free SMS to any etisalat line. Receivers pays function, the receivers pays service allow you to make a voice call and the cost of the call is paid by the receiving party. To activate dial 268. Before the etisalat number of the person you want to speak to.E.g 26808175922546. Regressive tariff: use up to N25 daily and enjoy reduced call rates, 11k/sec to the clip community,20k/sec to other etisalat numbers and 30k/sec to other networks. To subscribe to one click-one tune, dial *273* and your friend’s number #. To subscribe to cliq-4-D-day, dial *330*1#, to opt out dial *330*2#. To users on all other networks is 40k/sec. Night calls within etisalat network 12:30am-4:30am is free. Cliq-4-D-Day call to all etisalat subscribers is 20k/sec. This is a voice-based prepaid plan that gives you amazing rates to all networks in Nigeria and selected international destinations. Enjoy calls at 11k/sec to all local networks from the very first second with only a N5 daily access fee. Call at 20k/sec to 4 international destinations (UK land lines, USA, China and India). PRICING & TARIFF ON EASYLIFE. Calls are charged at 11k/sec with a daily access fee of N5 only which is charged on the first call of the day, access fee is valid till 11:59pm each day. Easyflex is a bundle plan designed to give more value for making calls, browsing pay as you go and sending SMS to all networks. Get over 300% when you buy flex 4,000 , 10.000 , and 20,000. Get 300% or more when you buy flex 300,500 and 1,000 bundles. Get up to 100MB data on flex 500 and 300. Get 150% bonus on any purchase on flex 2,000 and 5,000 bundles. To opt in, dial *334*X#, where X stands for either 4,000,10,000,20,000. To opt out, dial *344*0#. Easy flex bundles renew automatically on expiration or exhausted. Easy flex bundles are valid till 11:59pm of the expiry day. You can also enjoy receivers pay, blackberry services and data plans. Talkzone takes advantage of massive off-peak discounts with talk zone. This dynamic discount offer gives you amazingly low rates, depending where you are and when you call. Get up to 80% off calls to other etisalat numbers, with prices as low as 12k/sec. To activate talk zone, dial *244*8# from any existing etisalat line, to check the appropriate tariff for the area you are calling, dial *551#. Call etisalat numbers for as low as 12k/sec at off- peak time(12:30am-4:30am). Cliqlite is etisalat’s educational plan that supports learning and development for children and teenagers between the ages of 8 to 15 years. Free birthday reward: register your date of birth at the point of registration and get 200 on your birthday. 100% bonus on monthly data: purchase any data from 200MB to 10GB and get extra 100% bonus to browse 5 educational sites and 2 social sites. Preloaded educational apps and approved textbooks on the cliqlite tab. Bonus on incoming calls and unlimited SMS: receive 5 minutes call from other networks and enjoy 1 free minute to call easycliq or cliqlite numbers. For every billed SMS , you will be granted a free SMS to any etisalat line. Access to receivers pays feature: receivers pays service allows you to make a voice call and the cost of the call is paid by the receiving party, to initiate, dial 268 before the etisalat number of the person you want to speak to. Parental control portal: this feature allows you to select the websites that your children are allow to view. 150% bonus on every recharge this offer is available to all new cliqlite subscribers and it can be use to call all networks. For new customers dial 200 and select option 5. For existing customers, dial *244*10#. MTN is the network with the widest coverage in Nigeria. We will be looking at the most important and cheapest MTN packages, which are MTN Trutalk, MTN Trutalk Plus, MTN iPulse, MTN BetaTalk. Everything will be discussed below, so that you can find the one that suits you. MTN Trutalk is the default prepaid tariff plan that allows you to enjoy a flat rate of 20k/sec for MTN-2-MTN calls and MTN to other networks from the very first second. Other tariff plans may offer you cheap call rates after the first minute (to which a high call rate would be applied), but MTN Trutalk starts from the very first second to give you cheap calls. The second point is that the new MTN Trutalk tariff plan does not feature a daily or monthly subscription fee. To migrate to MTN Trutalk dial *400# or send 400 to 131. 20k/sec for MTN-2-MTN calls and MTN to other networks on the very first second. End of call notification to inform you of your call duration, total call costs and balance. Mtn BetaTalk is a prepaid tariff plan that rewards you with 3 times the value of recharge, i.e 200% bonus airtime on every recharge from N100 and above. National calls will be charged at the same flat rate of N24/ minute ( 40k/sec) from the customers bonus and main accounts. To migrate to MTNBetaTalk, dial *123*2*6#. Customers will be rewarded with 200% bonus airtime on every recharge from N100 and above. Which 3 times the value. The bonus airtime will be available for national calls, national SMS and PAYG data. When customers recharge with N100 airtime or more, 10MB data will be given for free or more. You can make very cheap calls on Trutalk+ though it doesn’t attract bonuses. To migrate, dial *123*20#. 11k/sec to all networks in Nigeria. Most other bundles will require to make calls on the first minute at 40k/sec. MTN ipulse is a very good example of that. 50% discount on calls to 5 international destinations including: uk (mobile&fixed), USA, Canada, China and India. This slashes the cost of international calls in two!! So this is not just a plan that gives you the cheapest call rate but also the most affordable price for international calls. This is a really great plan which is very popular among Nigerian students. To migrate, dial *406#. Free 10MB data every week after loading a minimum of N100 for each week. Free callertunes subscription for the first 30 days of migration to MTN ipulse plan. Lower SMS rate of N2 within a campus and N4 off-campus. Flat rate of 11k/sec to all lines at certain periods of the days regardless of your location. This is a prepaid tariff plan which rewards the customer daily with lower rates for talking more. The customers pays 10k/sec for calls to Glo lines and 30k/s for calls to other local networks. Call GLO to GLO Numbers for 15k/sec and also to other networks for 30k/s, after the 1st 60 seconds of the day at 40k/s. To migrate, dial *100*15*1#. It offers unprecedented discounts subscribers anytime, anywhere in Nigeria. Customers can enjoy up to 99% discounts on calls made, depending on the time of the day and geographical location of the customer. To register, dial *135*1#. Glo flexi customers enjoy discount on calls to all networks and can talk for as low 1k/s. It offers cheap rate to all networks. It comes with an option of special numbers and customers can choose 10 special numbers and call at a lower rate at 10k/sec. Special numbers must be on Glo. To migrate, dial *100*9*2# and to register the 10 special numbers dial *101*1*mobile number#. It allows subscribers to call five special numbers at only 5k/sec and enjoy 5MB free browsing every day. It offers 35hours weekly night calls of N200 previous week and lowest SMS charges in Nigeria. To register, dial *100*5*1#. It offers great value for money and gives customers 150 free talktime and 150 free SMS every month. It guaranty customers on daily free talk time. To migrate, dial *100*12*1#. The following are the various voice tariff plans you can chooose from on the Airtel network. It offers the best rate on data and calls to all networks. You can call for as low as 11k/sec to all networks. It also offers Night browsing for N25 for 500MB, valid between 12am-5am, also N50 for 1.5GB, valid between 12am-5am. To migrate, dial *312#. It allow subscribers to call all networks in Nigeria at 11k/sec ( from the very1st second) for a daily access fee of N5 charged on your first call of the day. Make int’l calls at 20k/sec to the USA, Canada,China,India and UK land line. To migrate, dial *315#. It gives you 2x your recharge value. Recharge N200 and get N200 as bonus, recharge again and you will still get another bonus on top, and so forth. It supports the registration of 2 special numbers that attract discounted rates when you put a call through to them. It also offers 15MB Bonus on recharge of at least N200 or greater, its valid for 3 days and could be received only once per 7 days. To migrate, dial *337#.To register these special numbers dial *337*2*airtelnumber# , to de register dial *337*3*airtelnumber#, to view registered number(s) dial *337*4#. This is a bundle-based tariff plan that offers varying bonuses depending on the packaged paid for. Applicable bundles are Talk more 60,100,150,250,300,350,500,700,1,500 and 3,000. The bonus is between 100% and 328% depending on the package selected..To migrate, dial *234*X# where X = 60, 100, 150, etc. E.g *234*150#. Other tarifff plans on Airtel include Smart Connect, 2good Classic, Big family plus, etc. The ones discussed above are the most important ones. Having listed all the local pre-paid plans on all networks, you should be able to determine which network has the cheapest call rate. In my own opnion, GLO FLEXI is the best because it allows you to make calls at 1k/sec to all networks. That awesome!. Join me on the quest to know which network offers the best intrnational call tariffs. We will be taking a look at the various call tariffs on the various networks, and like we did in the previous constellation, I will leave you to determine which suit you best, but I will also give you my opinion on which one I think is best. Let’s go. We will be taking a look at MTN Trutalk+. It is one of the best plans used for subscribers who have family members, friends and business partners or associates abroad. MTN Trutalk+ allows you to make calls at the rate of 11k/sec for all calls across local networks with access fee of N5. SMS is N4 per local SMS sent and N15 for international SMS. Also, you get 50% discount on all international calls to China, India, USA, UK and Canada. To migrate, dial *123*20#. This is the cheapest international call rate from MTN. Airtel smartTALK gives the cheapest international call rates on Airtel, with call rates of 11k/sec to all networks in Nigeria. For international, you can call China, India, Canada, USA and UK landlines at 20k/sec. To migrate, dial *315#. This is the cheapest international call tariff from AIRTEL. Glo Gbam plus is the best tariff plan to make international calls. Locally, it charges 11k/sec to all networks and attracts an access fee of N5 daily from the first call. To migrate, dial *100*6#. International calls to 5 countries (US, UK, INDIA, CHINA & CANADA) are charged at a flat rate of 20k/sec. It also gives 5MB of free internet data on airtime recharges. Etisalat Easy life 4.0 Limited Edition is the best tariff plan on Etisalat for making international calls. Locally, it charges calls at 11k/sec with a daily access fee of N5 which is charged on the very first call daily, SMS rate is N4 per SMS and access fee is valid till 11:59pm every day. Furthermore, international calls made to US, UK, China, and India (landline only) are charged at 20k/sec. Dial *420*1# to migrate. Having taken a thorough look at the different tariff plans on the major networks in Nigeria, both locally and internationally, I cannot tell you that this and this are the cheapest call rates. You have to critically weigh your options, and choose which one works best for you.